3. All in YOUR website! Anyone with basic web-surfing skills can create professional looking project reports and each report automatically creates and publishes a new page in your website with words, pictures and attached documents. Just click and upload progress photos from your digital camera. 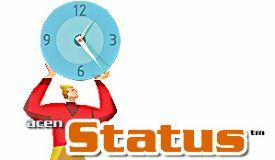 Status™ software automatically processes the picture to make it fast and easy to view online. Attach unlimited documents of any file type with a single click of the mouse. It’s easy for you and it’s easy for your customers and teammates too. They’ll be able to find answers to their questions without bothering you. You won’t need to copy and fax documents anymore or email pictures either. Just point and click them into your Status™ reports and let those who need to know help themselves. You’ll provide better information and superior service at the same time you simplify your day. Status™ is the easiest tool to put the web to work for your projects, every day.